Samsung has been an early adopter of virtual reality, creating headsets that use its massive smartphone screens as VR displays. 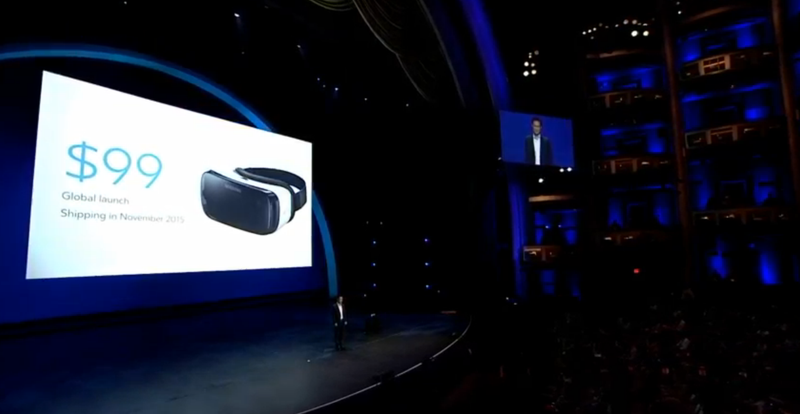 Now, the company has announced its third iteration of Gear VR, compatible with the S6, S6 Edge, S6 Edge+, and the Note 5, for only $100. With rumors that other VR headsets like PlayStation VR and HTC Vive will cost somewhere in the several hundred dollar range, this is wonderfully cheap entry point for people who want to dip their toe into a new virtual world.